Having eyebags is often the result of spending the night on the town, working too much or not getting enough sleep. Having bags under your eyes is especially frustrating if you want to be somebody who enjoys a perfect complexion. The skin that is around your peepers is very thin and more fragile as compared to the rest of the skin of the face. It is actually with this very reason that the first aging signs appear along your eye area and also why accumulated fat and/or fluid retention appears more pronounced. Your genes may also play an important role with regards to your inclination towards gathering fluids within your eye area. There are tea bags containing caffeine, such as green tea and black tea. There are also herbal teas, like chamomile tea. Black tea and green tea contains tannin which is a natural substance from tea, which can constrict blood vessels and attractive skin. That way, the blood vessels going smoothly, so as to reduce the swelling around the eyes. How to prepare: Take two tea bags, then dip it in water that has boiled. Let stand for 3-5 minutes, then remove and let stand until cool. Next, wrap a thin cloth. 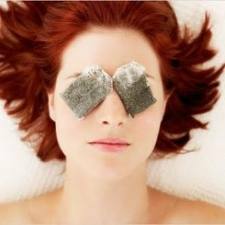 Lie down, close your eyes and place of each tea bag to each eye. Let stand for 5-15 minutes, then remove and clean both eyes. Yam bean contain vitamin B1 and vitamin C are able to nourish the skin. Its cool also able to refresh the skin, so it can also overcome eye bag that sometimes have swollen and darker in color. Bleaching agents contained in yam bean also can reduce the dark circles under the eyes. How to prepare: Peel and wash a medium-size yam bean. Grate finely, then place a thin layer of the under eye area. Let stand for 15-20 minutes. Then lift the yam bean, rinse the area under the eyes with water. In addition to be applied directly, yam bean can also be made masks. The trick is almost the same, but to get the flour, shredded should be deposited after the first until flour just to live. After the flour settles, set aside and grab a little by mixing a little water before it shall be affixed on the area under the eyes. Do this treatment twice a week regularly. Potato starch contains relatively high. In the starch itself contained citric acid and phosphoric acid, which overcome flushed skin, and both are used to relieve inflammation or inflammatory. 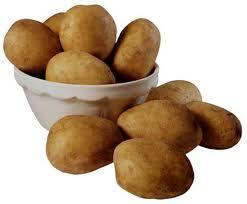 Therefore, potato suitable for reducing bags and dark circles around the eyes. But, potatoes do not contain astringent that can reduce the swelling. How to prepare: Take one potato that have been peeled and cleaned, grated until smooth. Wrap it with thin cloth, and then place it under the eye area in a lying position. Let stand for 15 minutes until you feel relaxed. Remove and clean the area. Perform this routine treatment three times a week. 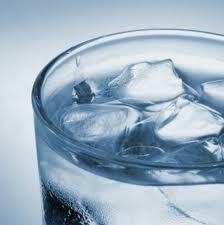 Cold water or water ice is not only refreshing, but also can help reduce eye bags in no time. How to prepare : Take a medium sized ice cubes, wrap a thin cloth. Lay the body and place the beam around the eyes. Let stand for 15 minutes. Lift and you will see the eyes become fresher. Cucumber is useful as a refresher or astringent that can improve blood circulation in the area around the eyes. Cucumbers are also able to relieve irritation in the eyes and puffy from lack of sleep or awake at night. How to prepare: Slice the cucumbers thinly, then grab two slices of cucumber and put it on the closed eye. 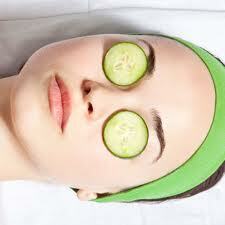 Allow the cucumber slices that stick in the eye about 15 minutes until the water soak into the skin of the eye area. Next wash with cold water until clean. Almond oil contains vitamin E is high, ie 24 milligrams per 100 grams. Almond oil to soften skin and improve skin texture loosens. Just as in the area of the semi-darkness under the eyes and marsupial. With regular massage using almond oil, bags under the eyes can be reduced, because the blood circulation more smoothly. How to prepare: Drop about 2-3 drops of almond oil on your palms. Then gently massage the area under the eyes that looked marsupial. Light massage will make the skin are interested in, so that the original marsupial eye is reduced. Do this treatment every day for three weeks, especially after waking up the morning. Concentrate on eating whole foods. When out doing your food shopping, leave the process food items untouched within their shelves. Try to include plenty of fresh vegetables and fruits onto your daily diet. Always go to bed early and on time. Make it a point that you are getting eight to nine hours of sound sleep each night. This is not only useful in treating eye bags, but this also answers your concern of how to get rid of dark circles under eyes fast!! Diligently follow a face exercise routine. Regular performance of facial exercises will not just help erase your awful eye bags, but they can also help you tackle dark circles and wrinkles around your eyes. Take note that there are also other facial exercises such as chin and neck workouts, cheek muscles exercises, workouts for eliminating wrinkles along the forehead, etc. that you can employ and follow to rejuvenate your entire facial area.